Posts tagged with "music festival"
Amazon’s new festival-inspired storefront includes everything attendees need to make the most out of their time at Coachella – portable phone chargers, sunglasses, sunscreen, and more – available to ship to an Amazon Locker inside festival gates, at no additional cost. Today, Amazon opened its curated storefront for the 2019 Coachella Valley Music and Arts Festival featuring festival essentials from categories like fashion & accessories, beauty, health & wellness, tech, and camping. Items available include sunglasses, sunscreen, pain relievers, bug spray, portable fans, disposable cameras, nail art, and more. This new festival-inspired storefront gives customers the ability to order all of their festival essentials — either in advance for delivery to their home or to an Amazon pickup point, or by shipping directly to an Amazon Locker located inside the gates of Coachella. 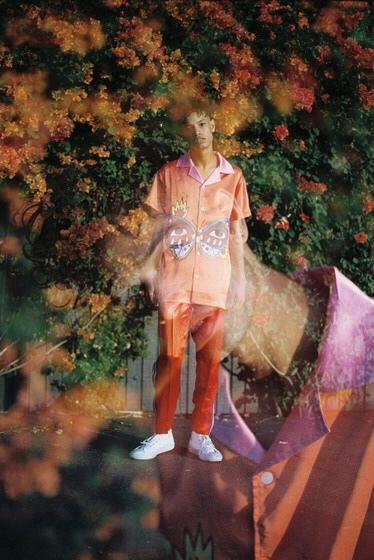 The curated Coachella storefront on amazon.com offers festival essentials approved by Coachella for delivery to an Amazon Locker inside the festival gates. The store features an array of items to help customers make the most out of their experience, from categories like fashion & accessories, beauty, health & wellness, tech, and camping. Items available include sunglasses, sunscreen, pain relievers, bug spray, portable fans, disposable cameras, nail art, and more. Customers can shop and ship these festival essentials at amazon.com/Coachella. From now until Thursday, April 11, customers can plan ahead and order their festival essentials to their home, nearest Amazon Locker, or just about anywhere else. Beginning Thursday, April 11 at 6 a.m. PT, customers can shop and ship directly to an Amazon Locker located within festival grounds. The deadline to place orders for delivery during Weekend 1 is Sunday, April 14 at Noon PT. Customers attending the second weekend of Coachella can ship directly to the festival starting on Thursday, April 18 at 6 a.m. PT. The deadline to place orders for delivery during Weekend 2 is Sunday, April 21 at Noon PT. Orders placed by Noon PT on festival days (April 12-14 and April 19-21) will receive same-day delivery at no additional cost. All packages must be picked up before each festival weekend ends. Only Coachella pass holders will have access to the Amazon Lockers located within festival grounds. Shipping to an Amazon Locker at Coachella is easy. During checkout, starting April 11 at 6 a.m. PT, customers will select one of the Amazon Lockers named “Coachella,” all located in zip code 92201, as their shipping address. Once their package is ready for pickup, customers will receive an e-mail with a barcode that they’ll use to pick up their package from one of the Amazon Lockers located within the venue. Amazon team members will be onsite to answer any questions from customers picking up their packages. To celebrate the first-ever appearance of Amazon Lockers at Coachella, Amazon is giving away two VIP passes to Weekend 2 of the festival, as well as $3,000 for travel and accommodation. The winner and a guest will get to see their favorite artists and experience an Amazon Locker at Coachella firsthand. Customers interested in entering can visit amazon.com/Coachellagiveaway for more details and the official rules. The winner will be awarded by a random drawing to be held on or about April 6, 2019. Amazon Lockers are available in more than 900 cities and towns across the U.S. as an alternative, secure, and convenient delivery option available at no additional cost. Amazon Lockers are one of the many pickup points that Amazon offers to bring the ultimate convenience to customers. Other pickup points include AmazonPickup Locations in neighborhoods, cities and campuses across the U.S., and Hub by Amazon for apartment buildings. In addition, Amazon has worked with actress and musician Vanessa Hudgens to shop the store and select her favorite items that she plans to wear to this year’s festival (see below). Amazon is also giving away two VIP passes to Weekend 2 of the sold-out festival, as well as $3,000 for travel and accommodation. Those interested in entering can visit amazon.com/Coachellagiveaway for more details. 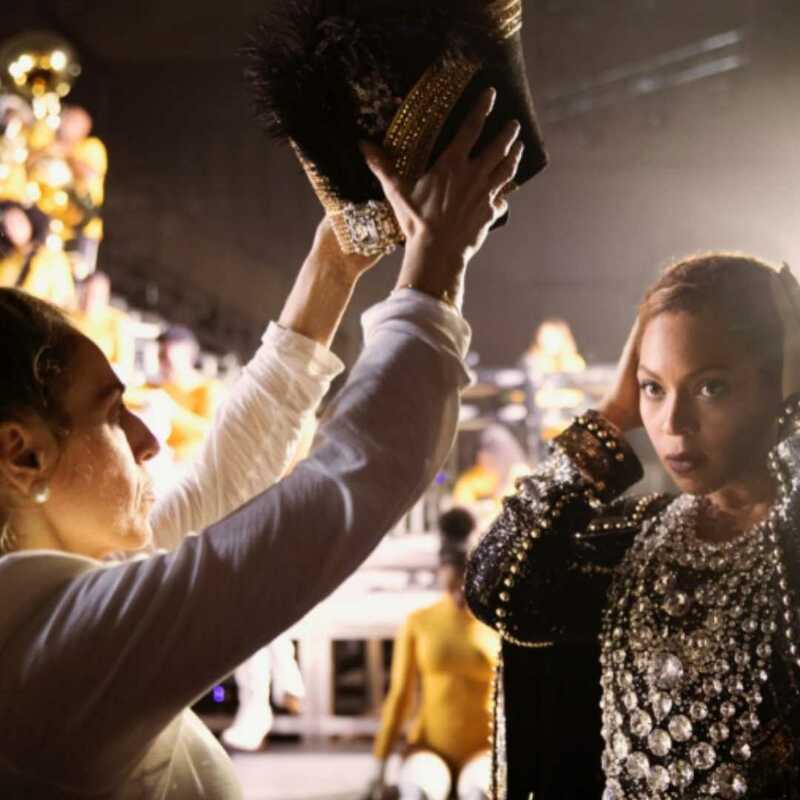 “It’s no secret that Coachella is one of my favorite events of the year. I am pretty good at making sure I have all the essentials but it never fails that I forget something. That’s why I’m so excited to be partnering with Amazon this year – they’ll have lockers in the festival grounds to make it easier to order something if I forget to pack it.” says Vanessa Hudgens. This entry was posted in Feature and tagged 360, 360 Magazine, Amazon, amazon lockers, beauty, bug spray, California, camping, Coachella, Coachella Valley, Coachella Valley Music and Arts Festival, disposable camera, essentials, Fashion Accessories, festival season, health & wellness, indio, Lockers and Pickup, music festival, painkillers, Patrick Supanc, portable fans, sunglasses, sunscreen, Tara McDonough, tech, Vanessa Hudgens, Vaughn Lowery, VIP on March 28, 2019 by wp360mag. 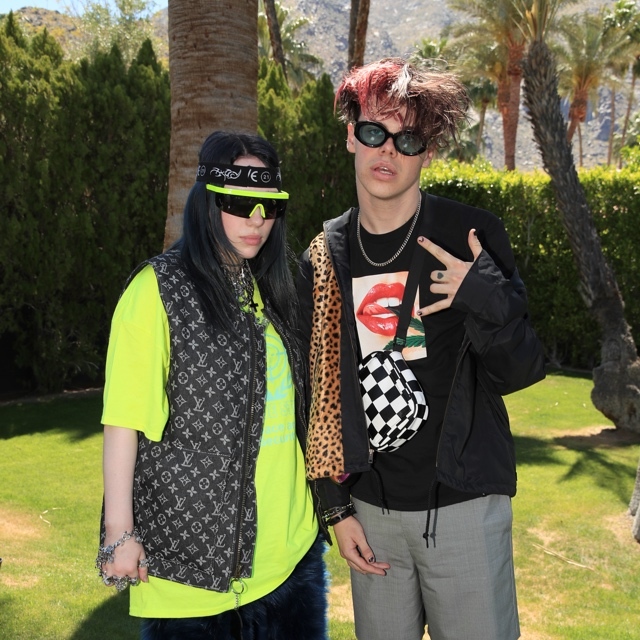 DREAMERS AND BEA MILLER SET TO PERFORM AT LOLLAPALOOZA 2019! 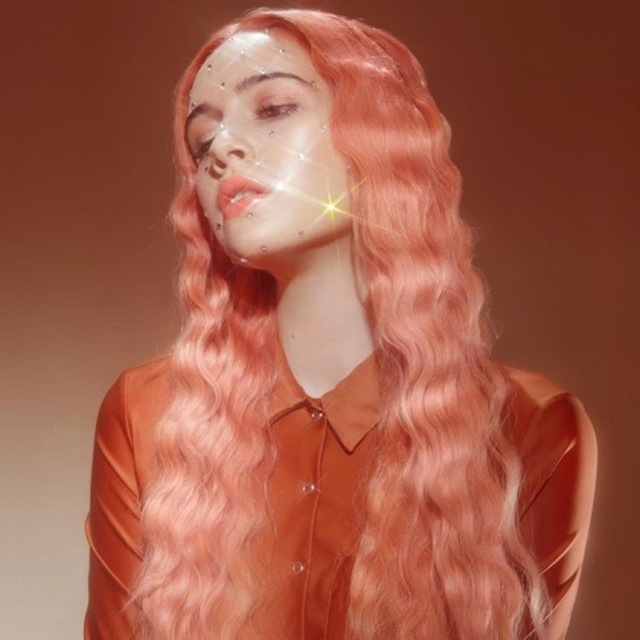 This entry was posted in Uncategorized and tagged 2019, 360, 360 Magazine, Alternative radio, April Bussey, Bea miller, dreamers, entertainment, hollywood records, Lollapalooza, music, music festival, new, release, single, style, Vaughn Lowery on March 24, 2019 by wp360mag. Fresh off a massively successful festival in the Bay Area, Rolling Loud heads down I-5 to Los Angeles to host another carnival for the culture. Bringing out hip-hop’s best and brightest to the City of Stars for a nonstop two-day event, Rolling Loud Los Angeles proudly unveils the lineup for its 2018 edition. 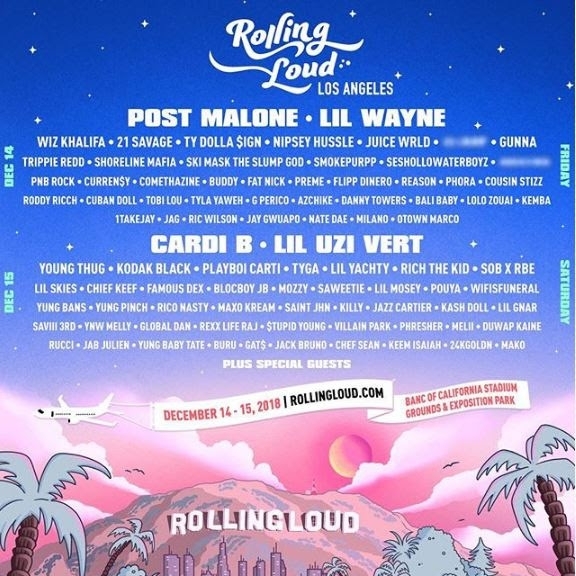 Headlined by Billboard chart dominators Cardi B and Post Malone, Rolling Loud L.A. gathers an unbeatable variety of artists from across the rap spectrum, from established stars like Lil Wayne, Lil Uzi Vert, 21 Savage, Wiz Khalifa, and Young Thug, to meteoric risers like Gunna, Juice WRLD, Lil Skies and Trippie Redd, to promising newcomers like Flipp Dinero, YBW Melly, wifisfuneral, Yung Bans, and Lil Mosey, to West Coast heroes like Ty Dolla $ign, Tyga, Nipsey Hussle, Shoreline Mafia, Yung Pinch, and Roddy Ricch, plus many others. Occurring on December 14th and 15th at the Banc of California Stadium Grounds in Downtown L.A., Rolling Loud Los Angeles is the perfect opportunity for rap fans to send off the year in style. Buy tickets exclusively at www.rollingloud.com. Growing from a single day Miami-based festival into a global company and the biggest live brand in rap music, Rolling Loud’s success embodies the spirit of Hip-Hop. In September, Rolling Loud founders Matt Zingler & Tariq Cherif hosted Rolling Loud Bay Area 2018. Headlined by turn-up titan Travis Scott and Taylor Gang ringleader Wiz Khalifa, the artist roster for Rolling Loud Bay Area was as star-studded as they come, boasting Hip-Hop heavy hitters like Rae Sremmurd, Pusha T, Gucci Mane, and Kevin Gates, local heroes like E-40, IAMSU!, Kamaiyah, Mozzy, and P-Lo, XXL Freshmen like Trippie Redd, wifisfuneral and BlocBoy JB, and other rapidly rising stars, including Juice WRLD, Lil Baby, Yung Bans, Lil Skies, and Saweetie. Occurring over two days on the grounds of Oakland Coliseum, Rolling Loud Bay Area brought a blast of hyphy local energy that the rap game desperately needs. Featuring a three day lineup and moving from Bayfront Park to Hard Rock Stadium, Rolling Loud Miami proved that bigger is better in 2018. With over 140 artists performing during an action-packed weekend, Rolling Loud Miami 2018 brought capacity crowds each day to the Hard Rock Stadium in Miami Gardens earlier this month. Headlined by J. Cole, Travis Scott & Future, Rolling Loud 2018 boasted performances from heavy-hitters like Migos and Lil Uzi Vert, veterans like N*E*R*D, The Diplomats and Juicy J, established names such as Young Thug, Big K.R.I.T., Young Dolph and Rick Ross, and risers like Playboi Carti, Lil Skies, Ski Mask The Slump God, Trippie Redd and many more. 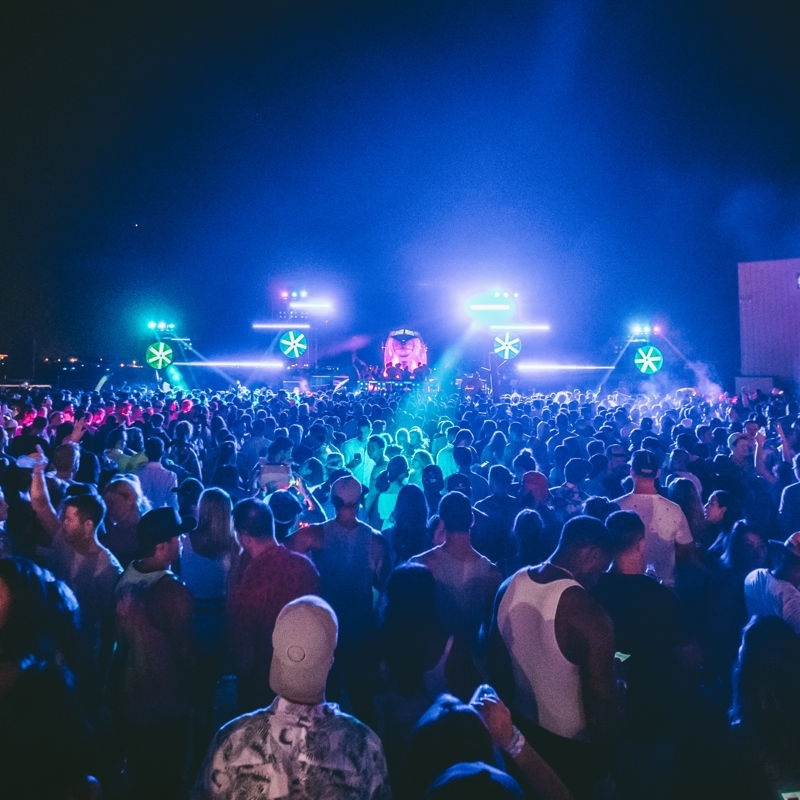 Founded by Matt Zingler and Tariq Cherif, recently the new subject of a feature in the Wall Street Journal, Rolling Loud continues to expand its profile as one of the most successful and valuable festival brands in the music business. Rolling Loud Festival is one of rap’s premier music festival experiences. 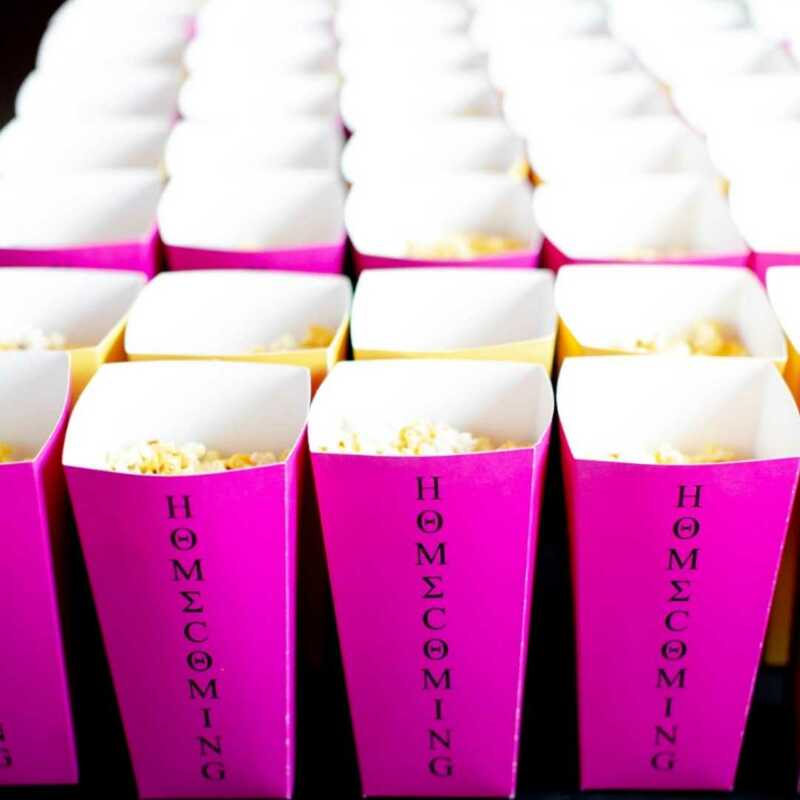 The festival was the brainchild of co-founders Tariq Cherif and Matthew Zingler, who began organizing shows in 2010. The two created Rolling Loud Festival in 2015 as a one-day festival for 6,000 attendees. Three years later, the festival’s Miami chapter has expanded into a three-day event, with the festival expanding worldwide in the coming year. Located in the heart of Los Angeles in Exposition Park, next to the Los Angeles Memorial Coliseum, the California Science Center, the Natural History Museum of Los Angeles County, the California African American Museum, and close to the University of Southern California, Banc of California Stadium is the first open-air stadium built in Los Angeles since Dodger Stadium in 1962. 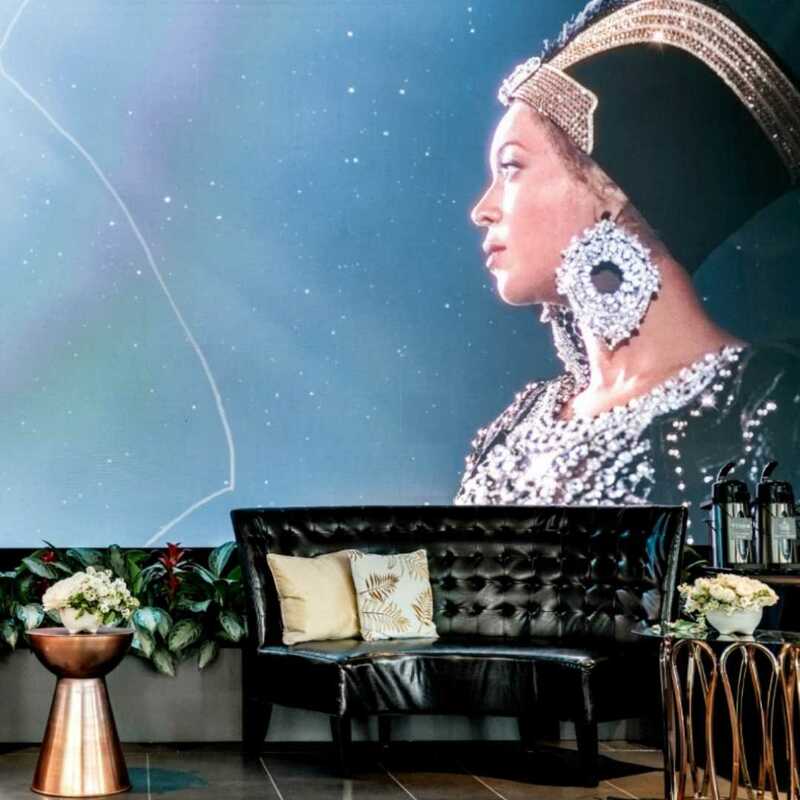 The stadium is a $350 million, state-of-the-art, world-class venue specifically designed to present all types of star-studded live entertainment and creates an unparalleled fan experience for music, sports, and more. At a capacity of 23,500 for concerts (22,000 for soccer), the venue’s unique design provides for an intimate experience with excellent sightlines of the stage from every seat and superior quality sound throughout the house. Banc of California Stadium sits atop the hallowed grounds of the former Los Angeles Memorial Sports Arena, which hosted some of the most legendary music artists of all time — befitting its history, the new stadium will continue the tradition of hosting the very best in live entertainment. 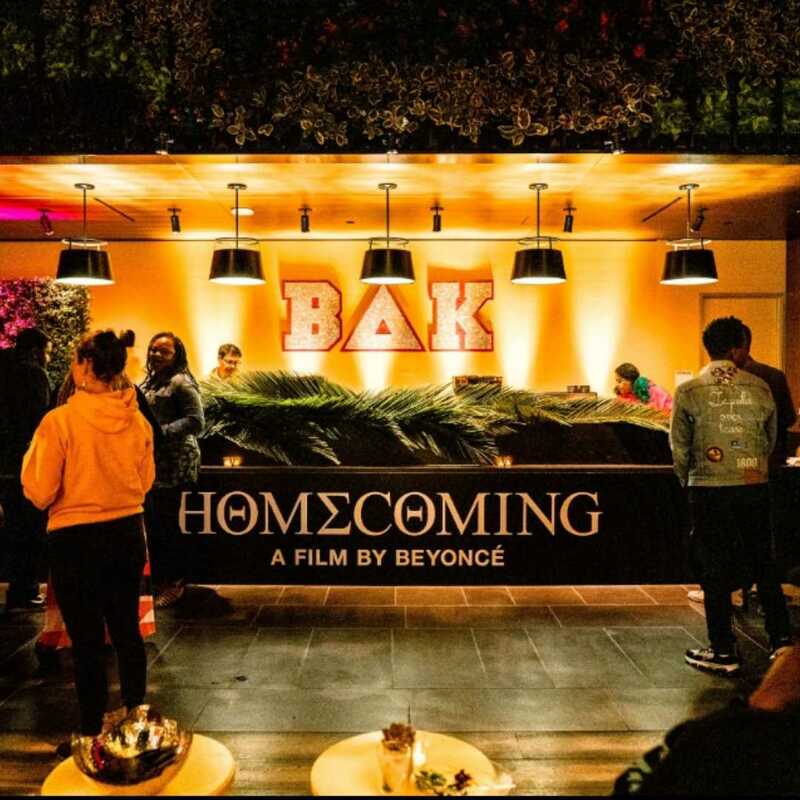 This entry was posted in Feature and tagged 360, 360 Magazine, artists, Atrin Yazdani-Biuki, Banc of California Stadium, Banc of California Stadium Grounds, Bayfront Park to Hard Rock Stadium, Big K.R.I.T., billboard, Blocboy JB, Brands, California African American Museum, California Science Center, California Stadium, cardi b, Concerts, design, Dodger Stadium, Downtown L.A., e-40, entertainment, Exposition Park, festival, Flipp Dinero, Gucci Mane, Hard Rock Stadium, Hip-Hop, hip-hop festival, iamsu!, J. Cole, Juice WRLD, Juicy J, Kamaiyah, Kevin gates, legendary, Lil Baby, Lil Mosey, Lil Skies, lil uzi vert, live, live entertainment, Los Angeles, Los Angeles Memorial Coliseum, Los Angeles Memorial Sports Arena, Matthew Zingler, Miami, Miami Gardens, migos, Mozzy, music, music festival, N*E*R*D, Natural History Museum of Los Angeles County, nipsey hussle, Oakland Coliseum, P-Lo, performances, playboi carti, Post Malone, Pusha T, Rae Sremmurd, rap, Rick Ross, Roddy Ricch, Rolling Loud, Rolling Loud Bay Area 2018, rolling loud festival, saweetie, Shoreline Mafia, Ski Mask The Slump God, soccer, soundcloud, sports, stadium, stage, Tariq Cherif, Taylor Gang, The Diplomats, The New York Times, The Wall Street Journal, Travis Scott, Travis Scott & Future, Trippie Redd, Ty Dolla $ign, tyga, unique, University of Southern California, Vaughn Lowery, Venue, wifisfuneral, Wiz Khalifa, XXL freshmen, YBW Melly, Young Dolph, Young Thug, Yung Bans, Yung Pinch on October 13, 2018 by wp360mag. Thursday, August 2nd the BMI Stage at Lollapalooza kicks off with six incredible performances. For the thirteenth year in a row the stage continues to showcase the industry’s biggest and brightest. Day one kicks off with sister rock duo Larkin Poe, eccentric West Coast rapper, Wes Period, and boundary pushing pop upstart Fletcher. Roc Nation backed lyricist GASHI ushers in the second half of the day’s performances with a set by rapper/producer Supa Bwe to follow. Chart fixture Madison Beer will entertain the crowd with her signature sultry R&B vocals, closing out the first day of the festival. To schedule an interview or request hi-res photos for any of the performers on the BMI Stage, please contact Brittnee Walker, bbwalker@bmi.com. 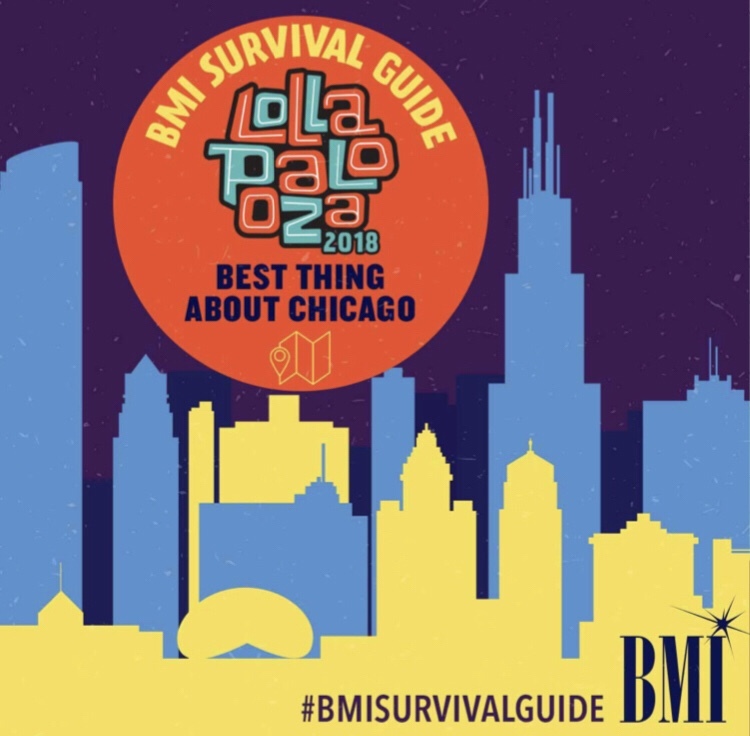 For more information on the BMI Stage, please visit, www.bmi.com/lollapalooza and follow @BMI on Twitter for updates on your favorite acts. To join the conversation, use #BMILolla.BMI STAGE SCHEDULE – THURSDAY, AUGUST 2nd LARKIN POE | 1:00-1:40pm“These women are seriously badass. 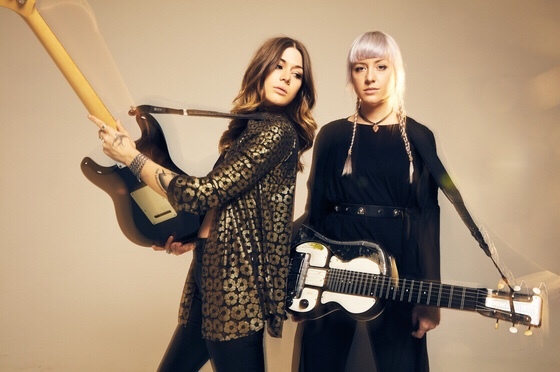 Don’t mess with them.” – Paste MagazineRebecca & Megan Lovell of Larkin Poe are singer/songwriter, multi-instrumentalist sisters creating their own brand of Roots Rock ‘n’ Roll: gritty, soulful, and flavored by their southern heritage. Named for one of their familial ancestors who was also a distant cousin of Edgar Allan Poe, Larkin Poe’s music mines a reverent blend of blues and Americana with the patina of a Southern Gothic sensibility, punctuated by the sisters’ seamless harmonies and gritty interplay between electric and slide guitars. WES PERIOD | 2:10 – 2:50pm“West Coast rap exists in Kendrick Lamar‘s celestial shadow, but that doesn’t mean Los Angeles isn’t speckled with intriguing young voices putting their own twists on the genre. One of those voices is Wes Period.” – NYLONThis native Californian rapper/songwriter/producer began making music in 2010. Flecked with a bright, celebratory and hazy lyrical flow, Wes’ music is upbeat, sunny and singularly Californian. 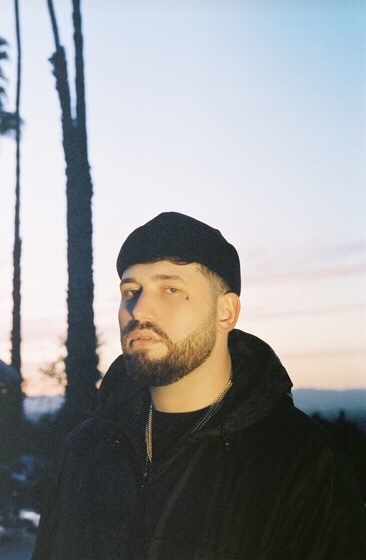 His music fell into the hands of hit songwriter, Justin Tranter (Justin Bieber, Selena Gomez, DNCE), who quickly signed Wes to his label, Facet Records, where he released the track “Trap Star,” and the mixtape Pretty Words. FLETCHER | 3:20 – 4:00pm“One of the most exciting female artists to emerge in the pop…Even in the face of growing fame FLETCHER has remained unquestionably authentic – and she’s only just getting started.” – Paper MagazineOriginally hailing from Asbury Park, the rock capital of New Jersey, striking singer-songwriter Fletcher made a tremendous splash when her rousing pop track “War Paint” was essentially declared the anthem of the summer 2015 via the Spotify Viral 50 Chart. 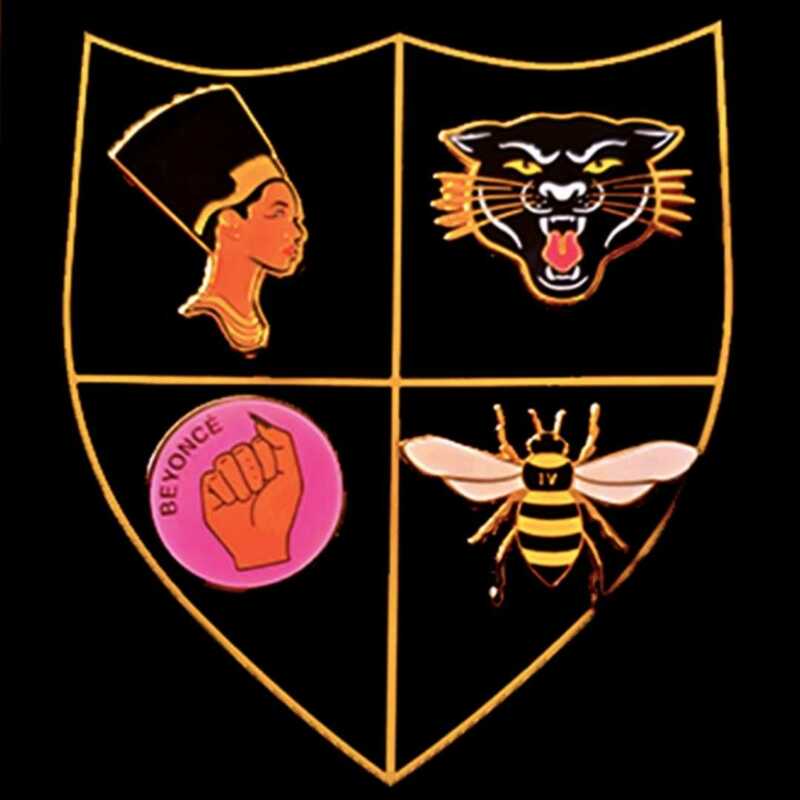 The single became the #1 most socially shared track on Spotify in the U.S. for two consecutive weeks, and #3 across the world, earning nearly 5 million streams. 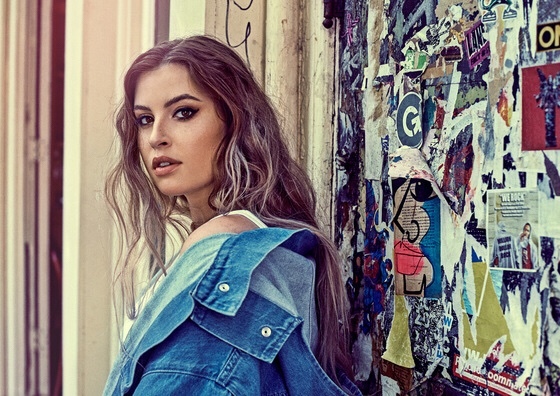 After that auspicious opening statement, Fletcher unleashed the Finding Fletcher EP, which added “Wasted Youth” to her arsenal of provocative pop, racking up 2.9 million views on YouTube. GASHI | 4:30 – 5:10pm“It’s difficult to not to be captivated by his songwriting and his distinctively strong personality as it’s carefully woven into his music.” – The SourceBorn in Africa, bred in Brooklyn by parents of Albanian descent, Gashi seamlessly sings, raps, blends and melds musical elements into a singular style that has made him an artist to watch. His single “Disrespectful” has accrued 4.6M views on YouTube, and his single “No No No” has been streamed over 6 million times, landing on Spotify’s New Music Friday billboard in the middle of Times Square. 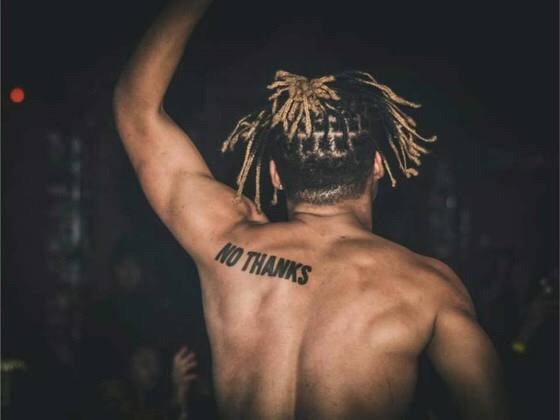 SUPA BWE | 5:40 – 6:20pm“Supa Bwe has already challenged the current state of rap as he transcends genres with his eclectic production and blend of melodies and rhymes.” – HipHopDXChicago rapper/producer Supa Bwe (real name Frederick S. Burton) dropped his full-length solo debut, Finally Dead, last December, and the bold release proved to be an audacious opening statement, premiering at number 3 on iTunes and earning critical shout-outs from XXL, Hype Beast and others. As equally influenced by classic hip-hop from his father and the punk, metal and alternative rock championed by his British mother, Supa Bwe’s music is an assertive blend of inventive rhymes, in-your-face attitude and striking vocal melodies that meld his influences into a single, distinctive style that sets him well apart from his contemporaries. MADISON BEER | 6:50 – 7:30pm“Don’t be fooled by her age: 19-year-old Madison Beer is a force to be reckoned with and an old soul.” – BillboardMadison Beer is a Long Island native who started posting her covers of pop and R&B songs online at the age of 12. Since then, Beer has racked up YouTube views past 83 million, she’s amassed 10.7 million Instagram subscribers and 2.6 million Twitter followers. She signed with Island Records after Justin Bieber shared one of her covers. 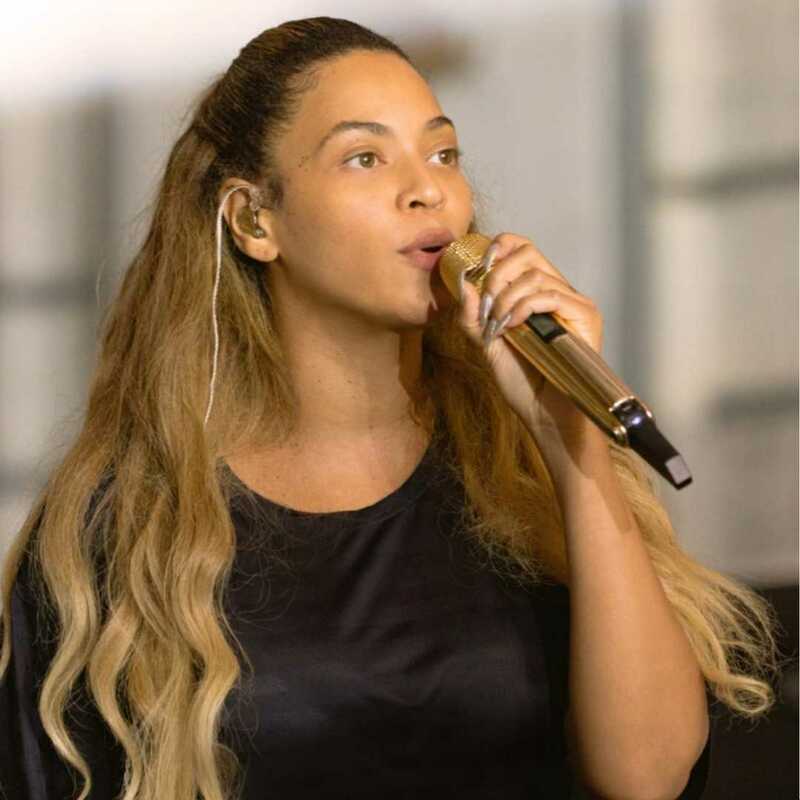 Her recent EP, As She Pleases, featured the hits “Dead” and “Say it To My Face” and racked up streams in the millions. This entry was posted in Uncategorized and tagged BMI, FLETCHER, Gashi, Lollapalooza, Madison beer, music festival, producer, rapper, Roc Nation, Supa Bwe, Wes Period, West coast, ‪Larkin Poe on July 17, 2018 by wp360mag. Superheroes walking the corridors, live art performances, a car show, and a DJ night. What sounds like a unforgettable music festival was the star attraction of the Dubai International Academic City where its annual event titled Jashn was celebrated. Literally translating to ‘celebration’, JASHN 2018 stepped up to the occasion by centering on a theme that seemed to be at the tip of everyone’s tongue-comic books and movies. 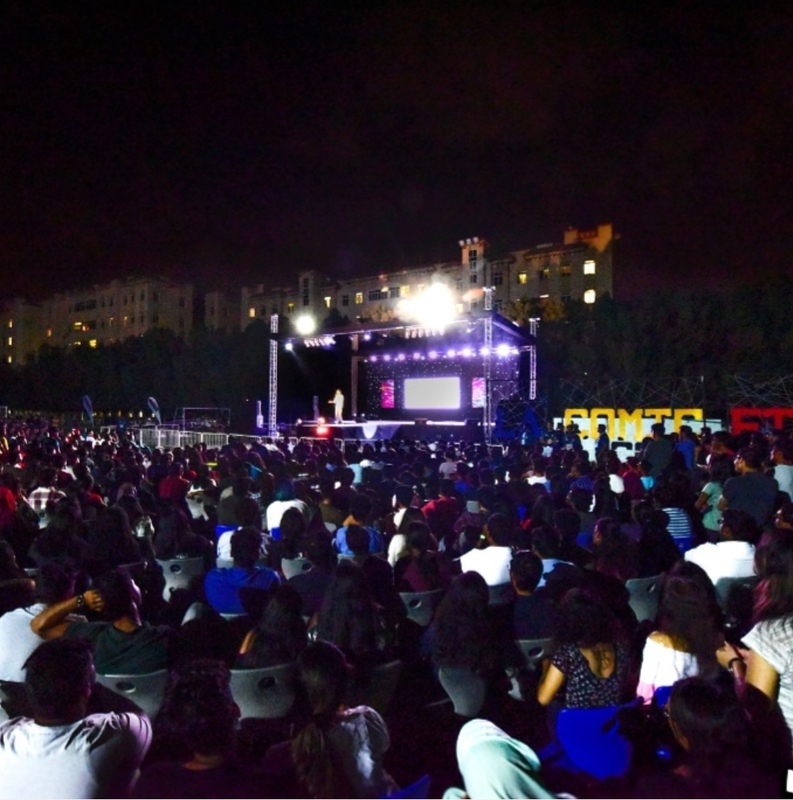 The Dubai Campus of BITS Pilani raised the bar once again by setting up one of the most elaborate stages in the region inviting the best to showcase their skills. And with the atmosphere of Marvel and DC to drive the festivities, the event proved to be a great crowd-puller for students and teens. The inaugural ceremony occurred on the 16th of April and was marked by a musical evening by the musicians of the campus followed by a stage play round and a fashion show by the group called Drape. To conclude the evening in a round of laughter and splits, popular Indian comic Biswa Kalyan took to the stage and left the audience wanting for more. The second day for was an energetic extension with further competitions defined by quizzes, musicals, musical battles and a lot more. The next day attracted a great crowd for the detective themed scavenge hunt titled ‘CSI’ followed by instrumental competitions, dancing doubles, a fashion show round and a guest performance by the artist Rooh. All the while, the crowd outside were being entertained by a high octane road show featuring the best cars. But the level had to be raised further as the campus closed the event with a awe-inspiring round of competitions attracting students with an artistic touch with a solo stage play round, a poetry slam competition, a group dance show off and finally a DJ performance by the duo Sunburn- Siana Caherine and Zephyrtone. JASHN 2018 La Comic Fiesta had achieved the same mass appeal of the very comic brands it endorsed and plans on scaling new heights with the coming years. This entry was posted in Tech and tagged 360 Magazine, art, Atrin Yazdani-Biuki, car show, cars, celebration, comic book, dance, DC, Dubai, Dubai International Academic City, fashion, festival, festive, fun, instrument, JASHN, JASHN 2018, Marvel, middle east, movies, music, music festival, musician, performances, pop culture, superheroes, Vaughn Lowery on May 22, 2018 by wp360mag.